The site lies on the north coast of the County of Antrim, Northern Ireland, and includes the Causeway Coast extending for about 6 km between Causeway Head and Benbane Head. 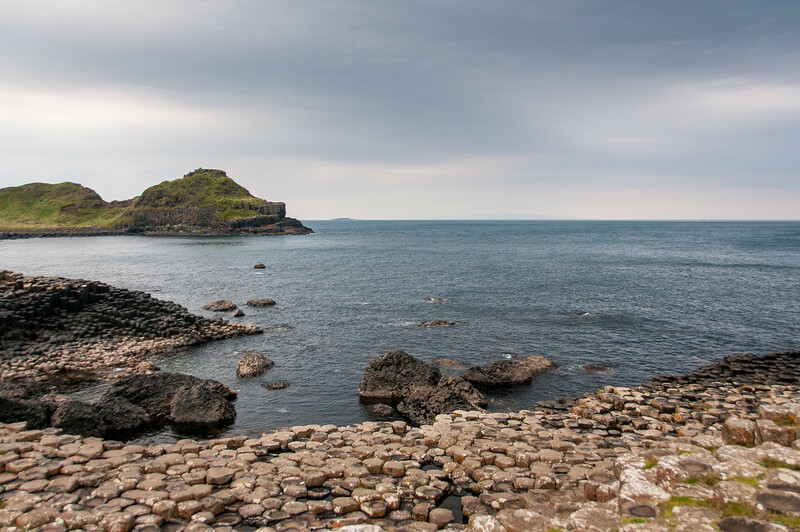 The Causeway Coast has an unparalleled display of geological formations representing volcanic activity during the early Tertiary period some 50-60 million years ago. The most characteristic and unique feature of the site is the exposure of a large number of regular polygonal columns of basalt in perfect horizontal sections forming a pavement. Tertiary lavas of the Antrim Plateau, covering some 3,800 km2, represent the largest remaining lava plateau in Europe. The coastline is composed of a series of bays and headlands consisting of resistant lavas. The average height of the cliffs is 100 m, and has a stepped appearance due to the succession of five or six lava flows through geological time. This geological succession during the Tertiary period consists of the Lower Basalts, where about six of the 11 lava flows are 67 m thick and are exposed between Plaiskin Head and Benbane Head; the Interbasaltic Bed which are exposed along extensive sections of the cliffs east of Giant’s Causeway; and the Middle Basalts, which are thick flows ranging from 30 m to over 150 m. The Giant’s Causeway displays the columnar basalt structures and includes the Specific sites of interest include the Giant’s Causeway itself (a sea-level promontory of almost entirely regular polygonal columns averaging 45 cm in diameter and numbering 40,000 columns), the Giant’s Organ (60, 12 m high regular columns and the three-tier structured Middle Basalt), Chimney Tops and Hamilton’s Seat (a viewpoint). The coastline is also cut through by olivine and theoleiite dykes. In addition to its geological features the site has a range of habitats covering seashore, cliff, scree, grassland, scrub, heathland and marsh. The Giant’s Causeway itself (a sea-level promontory of almost entirely regular polygonal columns averaging 45 cm in diameter and numbering approximately 40,000 columns); the Giant’s Organ (about 60 regular columns, 12 m high; Chimney Tops (a number of columns separated from the cliffs by erosion); and Hamilton’s Seat (a viewpoint). The coastline is also cut through by olivine and tholeiite dykes, a good example of which can be seen at Roveran Valley Head. Exposure of these columns, in perfect horizontal sections at such a scale creating a pavement, is considered a unique combination of features. 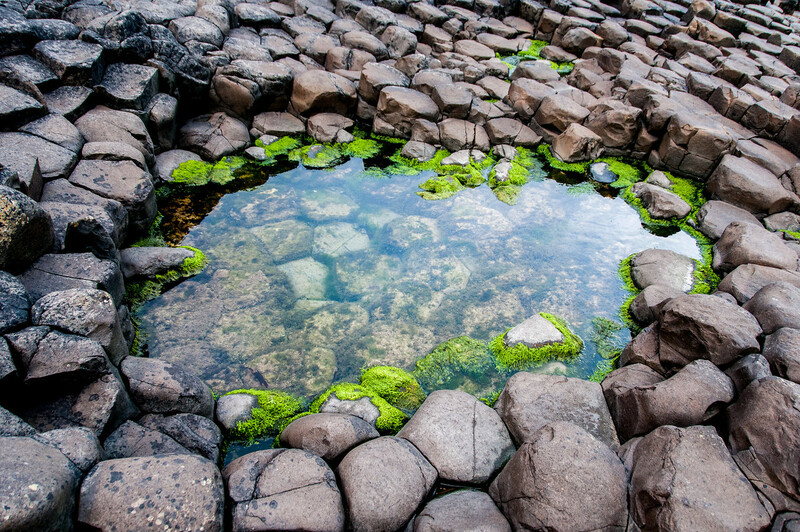 Giant’s Causeway is undoubtedly one of the best-known destinations in Northern Ireland. It is approximately a one hour drive from Belfast and is easily reachable by car. There are also many day tours from Belfast you can take. It could even be reached by car from Dublin as it is only a 2-2.5 hour drive. The actual Giant’s Causeway rock formations for which is it best known is actually quite small. Far smaller than I thought it would be. It is also crawling with people, so getting a shot without a bunch of tourists took me about 15 minutes of sitting in one spot waiting for a 2-second window when no one was standing on the formation I wanted to photograph. Giant’s Causeway and Causeway Coast is a natural UNESCO World Heritage Site in the UK, specifically located in Northern Ireland. It is a unique volcanic and geological formation that was inscribed into the UNESCO list in 1986. 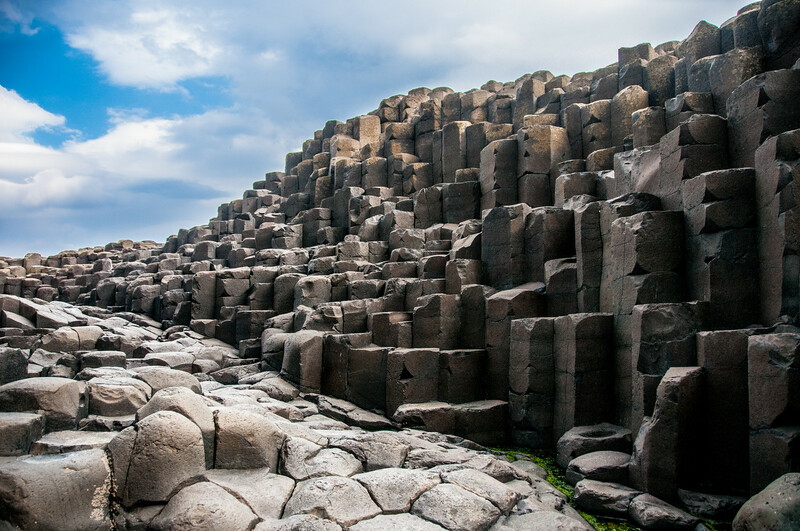 The site is one of the most photographed tourist attractions in Northern Ireland as it consists of about 40,000 interlocking basalt columns. These columns were naturally formed due to a volcanic eruption. The Giant’s Causeway and Causeway Coast is located about 2 miles north of County Antrim in Northern Ireland. This is located on the northeast coast of Ireland. The Giant’s Causeway and Causeway Coast is a UNESCO site that is centered on a unique geological formation consisting of basalt columns. Aside from being recognized by UNESCO as a World Heritage Site, it is also a national nature reserve recognized by the Department of the Environment for Northern Ireland in 1987. The site is currently owned and managed by the National Trust. The rest of the site is owned by the Crown Estate and a few private landowners. 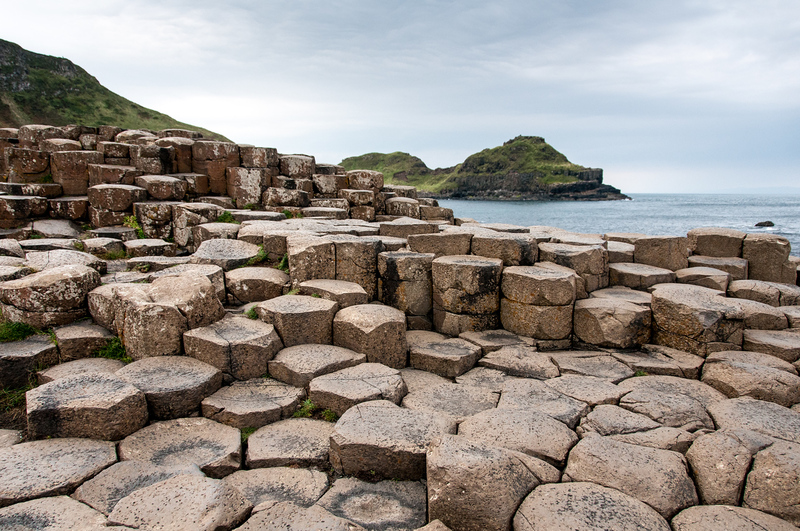 The history of the formation of the Giant’s Causeway can be traced back to about 50-60 million years ago. The county of Antrim was constantly subjected to intense volcanic activity. The molten basalt in liquid form would penetrate into the chalk beds to form a lava plateau. Once the lava cooled, it would result in a contraction. This caused a chain of natural formation that left pillar-like structures to form. Each column comes at a different size depending on the speed at which lava would cool after a volcanic eruption. The discovery of the Giant’s Causeway and Causeway Coast is estimated to have taken place in the late 17th century when the Bishop of Derry visited the site. Eventually, the site’s discovery was made known publicly. It quickly gained international attention. However, tourists did not start coming into this site until the 19th century, specifically after the Giant’s Cause Tramway was opened. From 2000 to 2012, the Giant’s Causeway and Causeway Coast had no visitor center. Public money was generated in order to build a visitor center. The new visitor center officially opened in 2012 with the help of funding from the National Trust, along with the Heritage Lottery Fund and Northern Ireland Tourist Board. 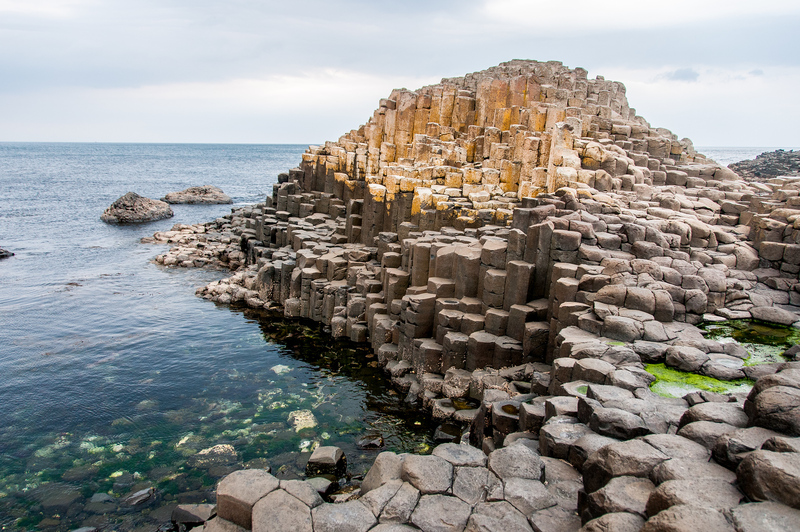 There are several basalt columns and pillar-like structures that form Giant’s Causeway and Causeway Coast. However, there are a few distinctive formations that have caught the eye of the visitors. Some of the most notable features at the site included The Giant’s Boot, The Chimney Stacks, Camel’s Hump, and Giant’s Gate, to name a few. This is on my list of places to visit. Didn’t know it was in the north, thought it was on the west coast. Great capture.